Our ministry today is based from AIM’s Headquarters near Atlanta, Georgia, where Mike serves as the Creative Manager for Communications. AIM’s US Sending Office basically has two roles. One is to support the hundreds of missionaries on the field through various logistics, member care, and engagement with partners and churches. The other is the work of mobilizing new missionaries, and all that entails. It is this mobilizing work, and its related communications element, that Mike is largely involved with. 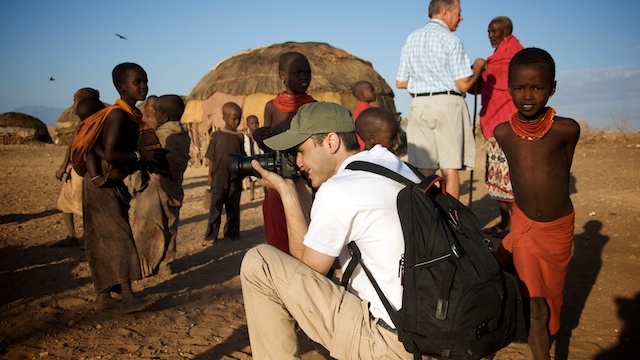 The job is similar to what he did in Africa – from the broad strokes of envisioning, planning, and executing media projects and campaigns, to the regular development of creative communications through writing, video production, design, and web. For over a decade we served with a team of missionary aviators, supporting AIM and other mission organizations working in the far reaches of east and central Africa. Mike was a bush pilot and spent countless hours in the air, and many nights away, serving some pretty amazing people and seeing God’s work first hand. This ministry, in some ways, led to the next one. Mike’s flying presented opportunities where he could pursue his interest in telling the stories of missionaries and missions (with photography, video, but mostly in written essays and articles). Over the years that hobby developed into a ministry of its own. In 2007 we helped AIM set up a small team of media missionaries on the field. The purpose was to have professional “storytellers” on the ground, close to what God was doing in Africa so that AIM could generate a variety of media to tell those stories with the passion and perspective of those who live and minister in Africa. 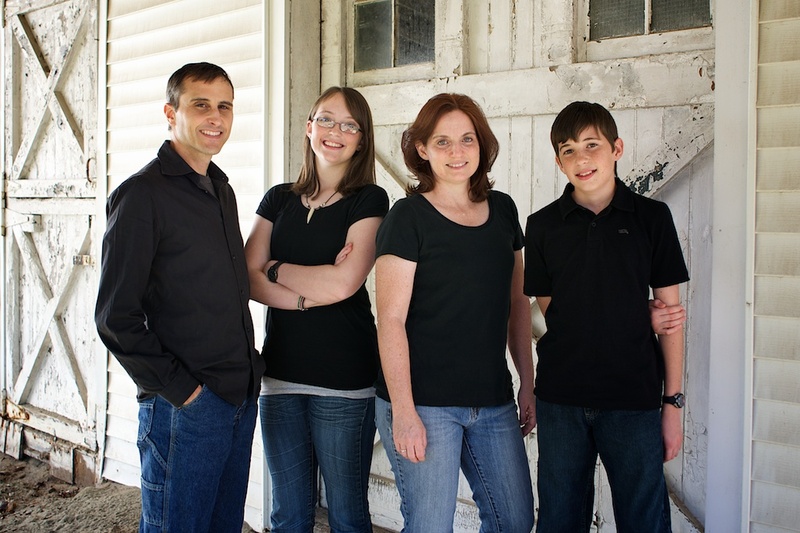 As a family, we transitioned from the flying ministry to the media ministry in 2010, where Mike then served with a small team telling stories through film, writing, and photography. In 2015, Mike shifted roles from the Manager of On Field Media, to the Creative Manager for AIM’s US Headquarters. Renee and I met in 1993. I was a student at Moody Bible College (Moody Aviation, in eastern Tennessee), and Renee was working in the same area as a missionary to inner city folks. Call me what you will, but the first time I saw her I knew I had found my wife. A week after meeting her, I knew for sure. In retrospect, we should have just eloped, but we waited and were married in 1995, just 2 days after I finished my 5 years of training for missionary aviation at Moody. Renee came to Tennessee after a disjointed pursuit of a college education in Oklahoma and a tour of duty in the Persian Gulf War with the National Guard. In her search for a place to serve God, she bumped into me. Her introduction was the sight of me playing “air guitar” on a stage in Gatlinburg, Tennessee (but that’s another story altogether). Initially, Renee had her reservations about me, but after a romantic hike on the Appalachian Trail and a home-cooked spaghetti dinner (I am half Italian after all) she began to soften up. When the Bluff City Police Department caught us kissing in the church parking lot one night… well, I knew then it was serious. I told Renee, “stick with me kid, and someday you’ll end up in a jungle somewhere” (or something to that order). We arrived in Kenya in November 1997, in the middle of an El Nino rainy season. I’ll always cherish the memory of my darling wife with her wild and windblown auburn hair, prettily dressed in a long skirt draped down to a pair of hiking boots, trudging through the mud up the Ngong hills where we first lived. Together, we stumbled through language study and into a new and unfamiliar lifestyle in a chaotic African city. I learned the ropes of flying in a new environment, around the weather and the mountains and into distant corners of God’s creation. Within months, Renee was expecting a child, our first. After Amelia was born we moved to Tanzania for a temporary assignment, utilizing a Cessna 206 to serve a couple dozen mission stations throughout the country. After an 11-month furlough we returned, with a second child, for another term in Africa. We moved back to Nairobi where we would stay until 2015. The next decade was full of flying and the slow and inevitable settling into life in Africa. At some point we felt more at home there than we did in America. We were transformed, as most missionaries are, by the vivid experiences and poignant lessons of the missionary life. God was working in us, as well as through us — a double blessing. I tried to capture that first decade in an essay for one of our newsletters. You can read it here. We served 13 years with the aviation ministry, another 4 to 5 with the media ministry, and then moved back “home” in 2015 to continue in a similar work from AIM’s home office. No matter how or where we’ve served, Renee and I continue to count it a privilege to be a part of AIM’s greater vision, using our skills and submitting our wills for the glory of God in Africa.